We are honored to receive this incredible support from you, our beloved San Diego community, for the fifth year running. It is all thanks to our hard-working landscape, design, and construction staff that we can create this award-worthy work. These awards are only a small piece of the puzzle for our company. We are continuously driven by the satisfaction of our customers, as well as our commitment to the environment, to work towards a more beautiful, more sustainable San Diego. It is the delight and comfort you take in our finished projects that propels us forward on our eco-friendly mission. Eco Minded Solutions was borne out one of the worst droughts in San Diego’s history. We wanted to empower San Diego residents with low-water, low-maintenance landscapes that would take advantage of the readily-available natural landscape. Since we began in 2008, we have provided eco-friendly building materials, and employed environmentally ethical building practices and landscape architecture on every project we have undertaken. To learn more about Eco Minded Solutions, visit our About page. To see some of our award-winning work, explore our portfolio. 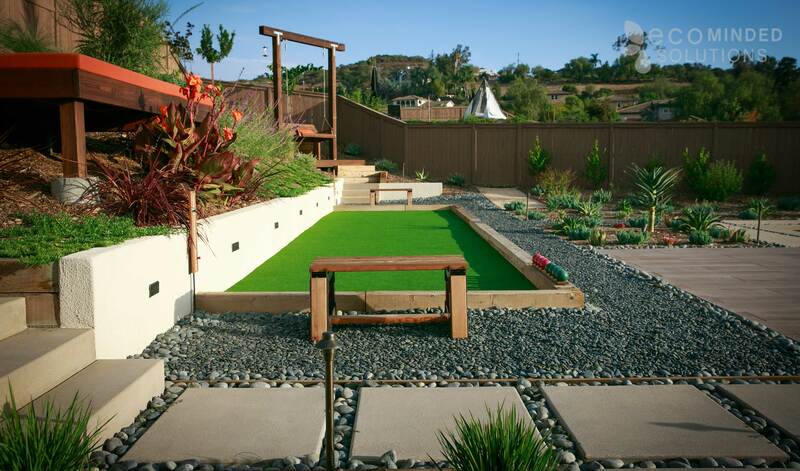 If you are interested in our design+build home or landscaping services in the San Diego area, contact us today!